Book your Kauai Luau Experience Today! Complete your Kauai vacation with a traditional luau. The delicious feast and lively festivities of luaus are some of the ways that the people of Hawaii have celebrated special occasions. On Kauai, you can attend a luau at numerous venues — from the north shore’s elegant Princeville Resort on Hanalei Bay to the beaches of Poipu Resort on the south shore. Many luaus include pre-dinner festivities such as Hawaiian craft activities and games for children. At the historic Kilohana Plantation in Lihue, come early and stroll the Plantation’s tropical grounds as you enjoy the late afternoon sun or walk through the cultural demonstration and view the beautiful crafter’s creations that are all “Made in Kauai”. Then sit back and prepare for a spectacular Hawaiian show filled with hula, fire dancers, and a story that is sure to touch your heart. The Luau Kalamaku features an elaborate performance including storytelling and dances that recount the ancient journey from Tahiti to Hawaii. Luau Kalamaku is proud to pay homage to the bravery of the ancient people who endured incredible hardships and through their “inner fire of determination” ultimately carried them to the new land, Hawaii. Immerse yourself in Hawaiian and Polynesian culture at this memorable Kauai luau, held at a beautiful oceanfront location at the Courtyard Kauai at Coconut Beach in Kapa'a. 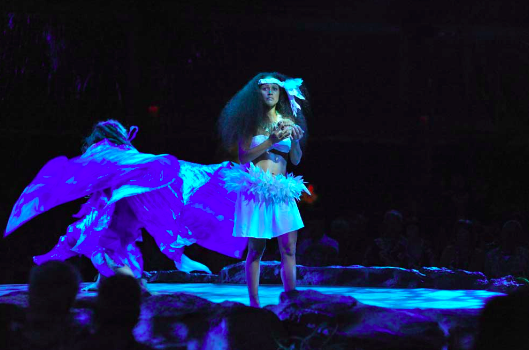 Fronting the ancient royal surfing grounds, Luau Maka'iwa is more than just a traditional Hawaiian luau – it is a fascinating musical and culinary journey of the Hawaiian Islands and greater Polynesia. From the impressive torch lighting ceremony that kicks off the evening's festivities to the mesmerizing hula kahiko (ancient hula) dances performed under the direction of an award-winning kumu hula (hula master), Luau Maka'iwa invites you to experience a special evening celebrating Hawaiian and Polynesian culture, complete with a Hawaiian feast and live music. 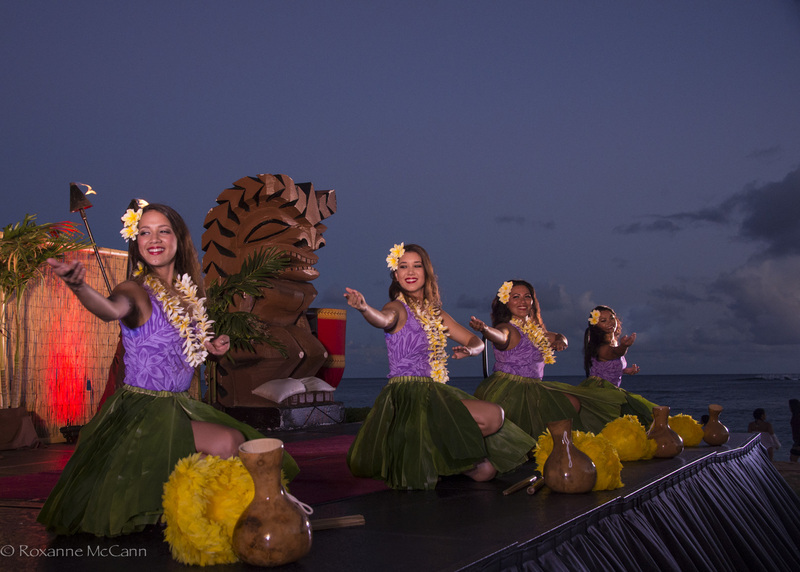 Located at the Sheraton in Poipu, Aulii Luau is Kauai's only oceanfront luau! Hear the sounds of the ‘oli as we present to you the Kahiko, the Ancient Hula. We share with you one of the most riveting stories in all Hawaiian mythology, about Pele, the goddess of fire, and her lover, Lohiau, Prince of Kaua’i. 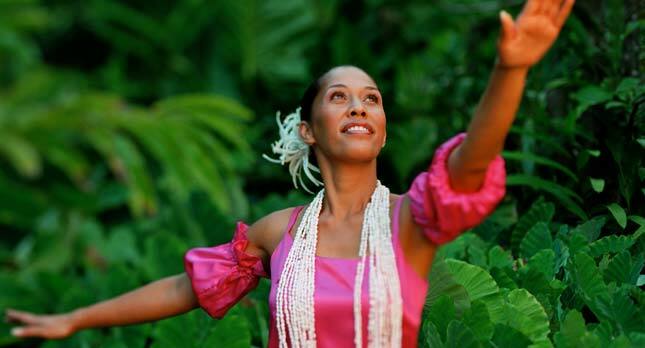 Experience new and tempting tastes of Polynesia while you behold the hula dancers of award-winning Urahutia as they bring to life the storied past of old Hawaii. Thrill as the pahu drums throb to the pulse of the surf only yards away as the Aulii's Fire-Knife Dancers take the stage and electrify the night with their whirling torches, as you sip a delicious cocktail and savor the finale and say to yourself, "This is why I came to the Islands."